BREAST CANCER RISK FACTORS- what are your risks? Age is another factor that can influence whether or not someone gets breast cancer, with two thirds of cases, especially invasive breast cancer, in women that are older than fifty-five. Around ten percent of breast cancer cases are linked to mutations in genes, like the BRCA1 and BRCA 2 genes, which keep cancer cells from forming. When these cells change, cancer may then end up forming in these patients. Family history, those who have a family history have a much higher chance of getting breast cancer, and unfortunately, this is another factor that cannot be changed. Still, most cases of breast cancer are not found in those with a family history. The particular genes known as BRCA1 and BRCA 2 genes can be passed on from parent to their child. Another gene is considered important TP53 for the breast cancer family history. So having a breast or ovarian cancer history from the same side of your family, mothers or fathers side, you are eligible for genetic screening. It important to know if you have these genes so you can prevent the progression of breast cancer by treating it early. Personal history, previous benign breast lump or breast cancer puts you at higher risk for developing breast cancer. 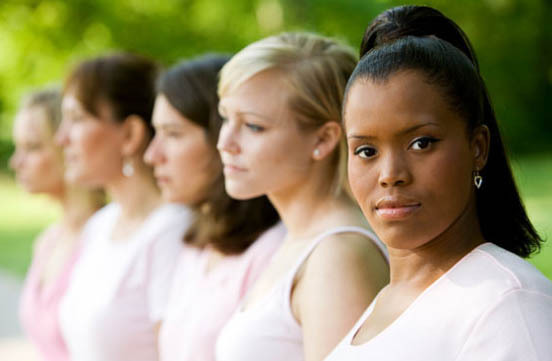 Race also plays a small part in breast cancer, with white women more susceptible than African-Americans. However, the downside to this is that African-Americans die more often from breast cancer, and the reason is unknown as of yet. These are most of the common risk factors but there are several others that your doctor will be aware of. Breast density, having a denser breast tissue you have higher risks of developing cancer because there are more cells that can become cancerous during lifetime. Being tall, it’s not always an advantage. Being taller than normal increases the risk for breast cancer and it is thought to be because of gene interaction, nutrition hormone but it is not yet understood exactly. Various lifestyle choices can put you at higher risk for breast cancer, some only a slight increase in risk. Exposure to estrogen, it includes the use of birth control pills, choosing to have children after age thirty, using post-menopausal hormone therapy and using estrogen treatments over a long period of time. Estrogen exposure can also be an unchangeable risk factor for example when a girl has here periods in early age and menopause in a late age. This exposes her to bigger amounts of estrogen increasing the risk for breast cancer. Women who choose not to breast feed their children are at a higher risk. One of the biggest risk factors is alcohol use, more than one or two drinks per day. Being overweight also increases your risk for breast cancer, and especially if you became overweight or obese late in life. This probably has a connection with the amount of estrogen produced in the body. Radiation such as x-rays and CT-scan can increase risks for cancer, especially if you had radiotherapy for Hodgkin’s lymphoma in your chest area.